How many are getting ready to bathe your dog to get them nice and soft for the weekend? I will admit, both Ivi and Reya are getting baths, a pawdicure, and a good brushing to get them ready to visit family. One of the things many people notice when snuggling my girls is not just their super soft coats, but how wonderful their ears smell. 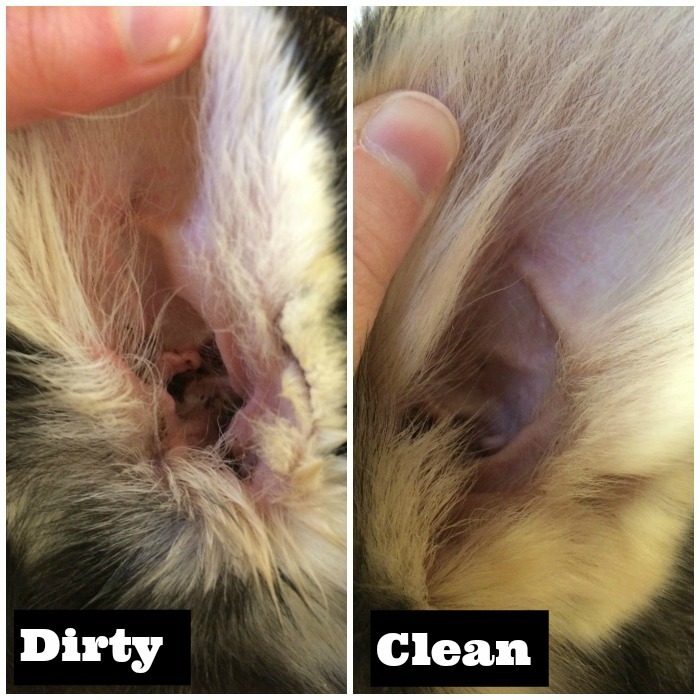 To my surprise, the ears are one of the most neglected areas of dogs, with many people forgetting that cleaning our dog’s ears is an important part of the grooming process. 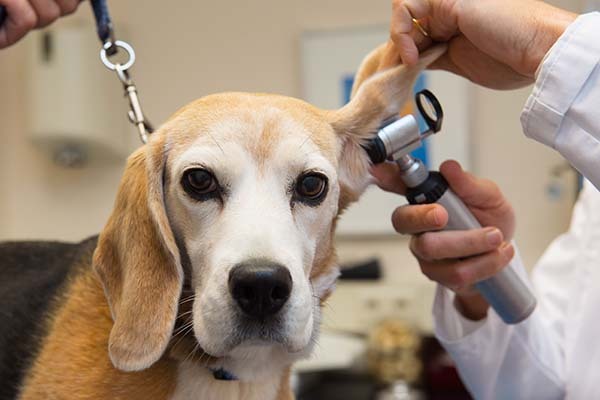 Just like humans, dogs are prone to ear infections, especially dogs with thick hair around their ears or floppy ears. Wax build-up, heavy hair, matted hair, or moist, floppy ears can decrease air flow in the ear canal, leading to bacterial build up. A bad ear infection in dogs can not only lead to discomfort2 for furry family members, but chronic illness or hearing loss. Yikes! To avoid an ear infection, it is recommended that all dogs have their ears cleaned at least once a month. 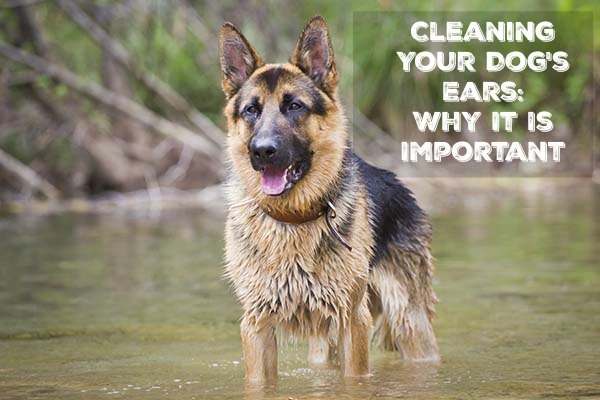 Some breeds with floppy ears, heavy fur around their ears, or dogs that regularly swim should have their ears cleaned more frequently. It is always best to ask your veterinarian or breeder if you are uncertain how often you should clean your dog’s ears. It’s always better to be safe than sorry! Of course! While getting your dogs ears cleaned is part of many grooming packages, it is super easy to clean your dogs ears at home. Before jumping in, however, be warned that most dogs HATE getting their ears cleaned. Their ears are extremely sensitive and even more so if they may have or recently had an infection. Like all things, it takes our dogs time to get used to getting their ears cleaned, so be patient and make sure you have everything you need in arm’s reach before starting. Even though it is very easy, sometimes your dog will not be as patient as you! First things first, make sure you have a quality ear wash. NEVER use vinegar, hydrogen peroxide, or rubbing alcohol. 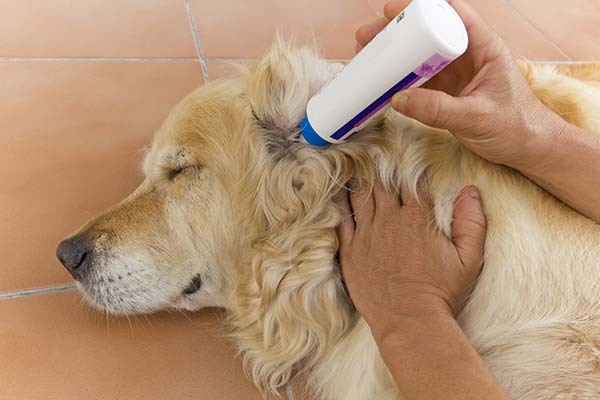 While many home remedies you will find online recommend these products, they can actually irritate the sensitive skin inside your dog’s ear or making cleaning the ears very painful if they are inflamed. 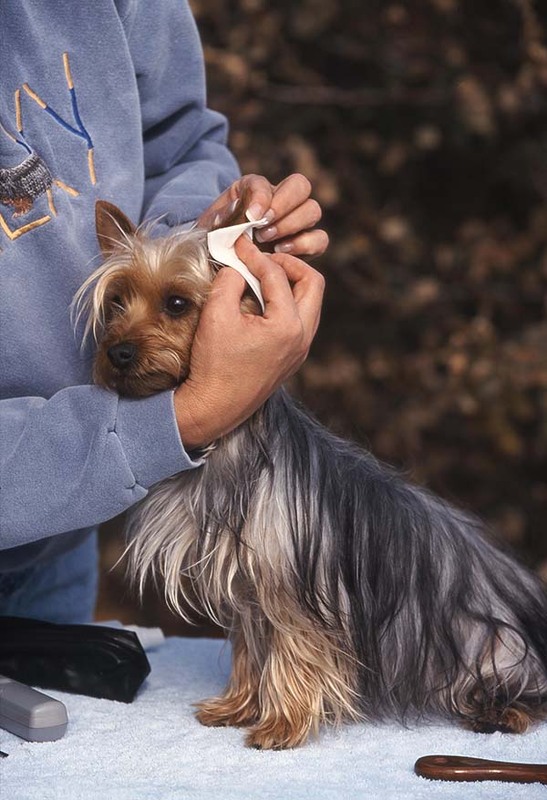 Ear rinses or ear cleaners are very inexpensive, and formulated to quickly break up wax and clean the ears without causing unnecessary pain or discomfort for your dog. I personally prefer Bayer Expert Care Ear Cleaning Rinse or Pura-Tips™ Ear Cleansing System. How Do I Wash Their Ears? Check for excess, dirty, or matted hair around the ears. If needed, very carefully trim this hair. If you are uncomfortable doing this, make sure to consult with your preferred groomer. Carefully check the ears for infection, parasites, or discharge. If you see any of the above, consult your veterinarian. The sooner an infection is dealt with, the better, to avoid discomfort for your dog. Make sure to have your ear cleaner and cotton balls at hand. Never use cotton swabs since one slip could end in a ruptured eardrum, just like with humans. For small dogs, make sure to tear your cotton ball in half so that that you can easily clean inside the ear. Follow the directions on your preferred dog ear cleaner or rinse. Most will have you squirt the cleaner into your dog’s ear. Your dog will likely shake their head when they feel that they have liquid in their ears. This is perfectly normal! Once they settle down, VERY GENTLY massage their ears for about 20 – 30 seconds each. With your cotton balls, start to gently remove any excess wax or dirt broken up by the cleaner, starting from the outer ear and moving inward. If the ears are very dirty, use a new cotton ball as required. Give your dog a treat for being such a good sport! Make it a rewarding, happy experience. While they may not look forward to getting their ears cleaned, they will at least look forward to what comes after each time! What methods do you use for cleaning your dogs ears? Have any questions? Feel free to tell us in the comments below! I love all the details you put into this , because I know many people that think dogs don’t get ear wax build up or ear infections and when I tell them they do and thats why you need to clean there ears properly.. I do clean my animals ears, but never did give them a treat, that is a great idea. Thanks for the help, I will use it! Thanks for the info… I learned some tips! My dog is 12 years old and I never knew I needed to clean her ears!! Thanks for the entry!! This is really good information. It is something that you don’t want to let go, a person might not realize how important it is.